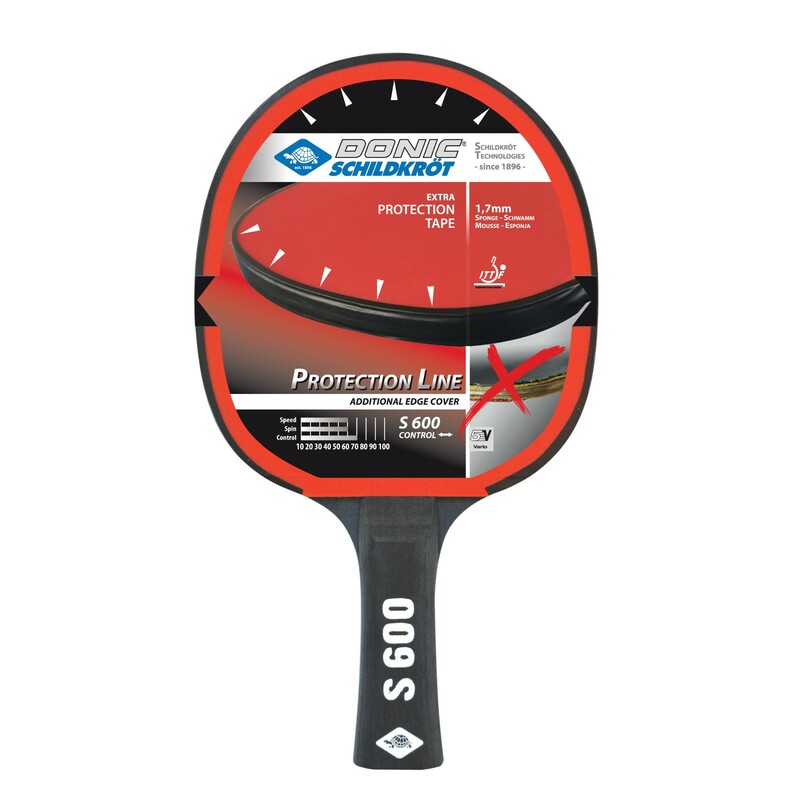 The Donic-Schildkröt table tennis bat Protection Line S 600 is a high-quality table tennis bat of the brand new "Protection Line" of Donic-Schildkröt. Thanks to the special edge band, which goes additional beyond the layer, the table tennis bat S 600 is especially durable. 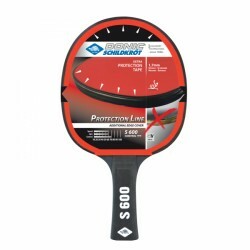 The edge band offers a maximum protection from peeling away, for instance. Hence, the layer on the bats remains undamaged for a longer time while being used for school or club sport.